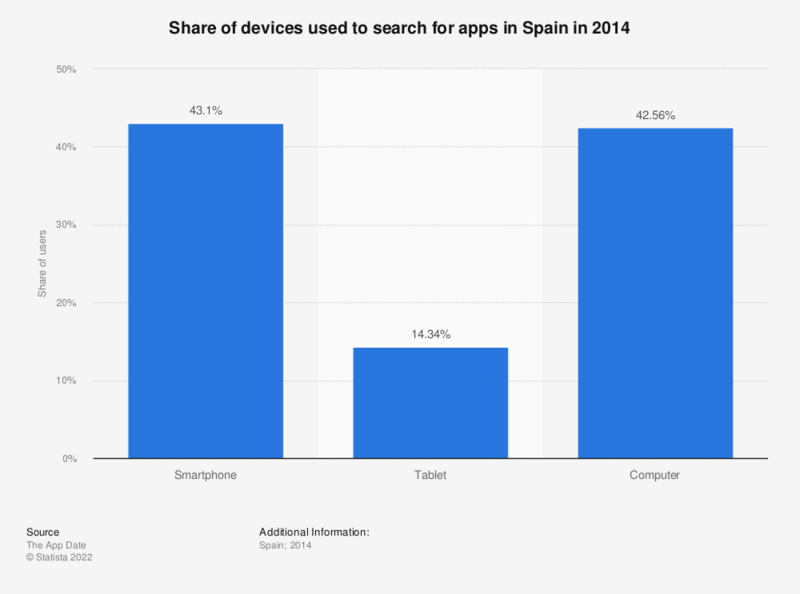 This statistic presents the share of devices used to search for apps in Spain in 2014. A similar share of individuals used smartphones to look for apps as those who used computers. Just less than 15 percent used a tablet to find new apps.